Better than brand new and no GST!!! 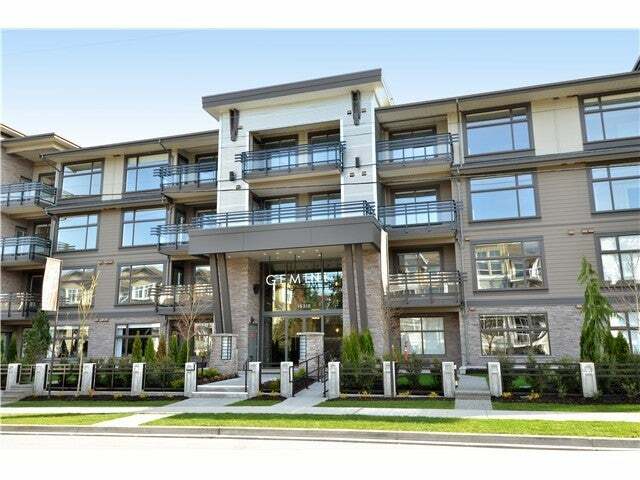 Move right in to this south facing, ground level, 2 bedroom, 2 bath pristine condo. Private entry with your own beautiful gardens filled with sun. Huge oversized windows let the light pour in to every room. Hardwood floors in the main living area and stainless steel appliances and quartz countertops in your delightful kitchen with loads of cabinet space. Master bedroom with luxurious ensuite featuring heated floors, double sink, frameless glass shower and Kohler plumbing. Gemini offers amazing amenities including a guest suite, games room and exercise centre. A short, level stroll to town, shopping and transit. Shows a 10+.